This incident left me deeply disturbed. 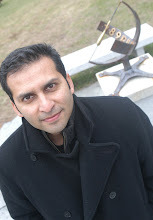 As someone who was also subjected to (missed) bullets in 2014, Roy’s murder brought back memories of my close brush with death, subsequent exile and the fear of returning to my own country, Pakistan. Like Roy and many others, Islamist extremists found my views unacceptable to the extent that physical elimination was the only answer. I miraculously escaped the assassination attempt, but my driver was killed and another companion was injured. While a few gunmen were arrested, the trial lingers on. But from my experience as an analyst, Pakistani courts seldom punish attackers, and the masterminds are never apprehended or brought to book. I had never met Roy, but I was aware of his powerful work. It is not easy to profess atheism when you belong to a Muslim country. Roy lived in the United States and ran a blog called Mukto Mona, (free mind), and he was vocal in opposing religious bigotry and intolerance. 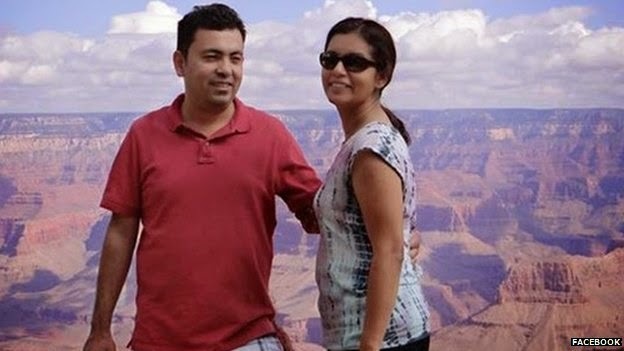 While he remained in the relatively safer climes of the US, he was still part of the discourse in Bangladesh, and this is why he was a threat to Islamist extremists. He received regular threats on social media — an irony of the ostensibly postmodern 21st century. The online store that sold Roy’s books was also harassed, and later it stopped displaying them altogether. In 2014, an Islamist said that Roy would be killed when he returned to his native country. So the doomed blogger had gone back to Bangladesh for his book promotion when extremists found the right opportunity to attack and kill him. His latest book, Bishwasher Virus (The Virus of Faith), says it all. One can disagree with the approach that some atheists take to matters of faith, but it is utterly disconcerting to note that the space for such ideas is shrinking in Muslim countries. And Bangladesh is no Saudi Arabia or even Pakistan. Its liberation in 1971 from Pakistan was an act of defiance to preserve the political and cultural rights that the so-called Islamic Republic of Pakistan was trying to suppress. For Bangladesh to become more like Pakistan is even more tragic. For decades, Bangladeshi governments, like their nemesis in Pakistan, have appeased religious passions. A clear case is that Prime Minister Sheikh Hasina covers her head. There is no Quranic injunction for women to wear a hijab (headscarf). This was true for Pakistan’s slain prime minister, Benazir Bhutto, who also demonstrated similar acquiescence to religious fervor by not only covering her head with a scarf, but also donning Islamic rosary beads to prove piety and credentials of being a devout Muslim. Media freedoms have also been under threat as the incumbent Bangladeshi government has, on occasions, tried to muzzle critical commentaries on elections and the democratic evolution. But surely the religious opposition to free-thinking remains the most serious challenge, leading many to leave the country and not return. Taslima Nasreen, a writer, has been in exile for decades, scared of the radicals back home. Ironically, she is blamed for being too “extreme” in her views. I had always admired Bangladesh as a secular nation and even wrote about its cultural and intellectual space. Sadly, it is only following the country it left behind in 1971: Pakistan. But when it comes to religious bigotry, few Muslim countries are safe for writers, bloggers and those who challenge extremist interpretations of Islam. I am afraid of returning home to Pakistan. I was lucky to have narrowly escaped the fate of Roy and perhaps will not be as fortunate next time. The Taliban affiliate that tried to kill me number in the thousands, are well-organized and entrenched. Their level of intolerance is such that I am not even an atheist, yet I am a target. I mourn Roy’s loss and also lament the state of exile that pernicious extremist ideologies have forced me into. According to the Charlotte Observer, the attack took place in eastern Mecklenburg County, just outside of Charlotte, North Carolina. The home of Abdul, a Muslim man who asked the paper not to publish his last name, was riddled by as many as 18 bullets in the middle of the night. 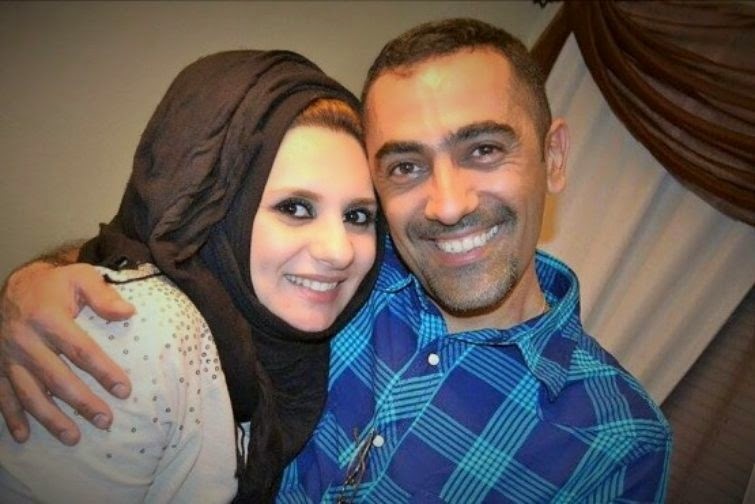 Most of the shots hit the fence, but one bullet traveled through Abdul’s bedroom window and struck his wife in the thigh while she was sleeping. Abdul said she woke up bleeding and screaming before being taken to a nearby hospital, where she is currently awaiting surgery while recovering in the intensive care unit. None of the other occupants of the house — which included Abdul, his mother, and his two children — were injured in the attack. Police are looking for multiple suspects near the neighborhood, which reportedly has only had infrequent break-ins in recent years. Officers initially reported that the incident was being treated as a random shooting, but Charlotte-Mecklenburg police Capt. Chuck Henson noted at a news conference Tuesday morning that police won’t know if it was hate crime until they make an arrest. Al-Jumaili had hesitated to leave his home in Iraq, but his wife had urged him to come to the US, where he'd be safer. She'd gone ahead to Dallas not long after their 2013 marriage, but he stayed in Iraq to work and save for their new life. Finally, last month, he followed her to Texas, where she had family, and left behind the chaos of Iraq. On Thursday, the last night of his life, three and a half inches of snow fell on Dallas, the most since 1942. It was almost midnight when he and his wife stood outside to take photos of this new sight, in the country that was to be his new home. As they lingered, what residents would later describe to police as two to four men, moving on foot, entered the small complex. One or more of the men raised a rifle and shot Al-Jumaili. Police would later find bullets lodged in nearby cars as well. He died a few hours later at a nearby hospital; he was 36 years old and had been in the US for three weeks. Neither police nor Al-Jumaili's family are yet claiming a motive, but focus has naturally fallen on the growing trend of violence against Muslims in the United States. Dallas Police Major Jeff Cotner said police considered hate crime a "possibility." A local Methodist pastor, as well as a representative from the Council on American-Islamic Relations, have both said the local community already fears as much. And yet Al-Jumaili's killing has received strikingly little attention, other than a few mostly brief media reports, and the statements of faith leaders in Dallas hinting at a climate of hostility toward Muslims there. The rise of ISIS in the Middle East, and attendant media coverage, has coincided with Islamophobia's growing acceptance in mainstream American discourse. Media outlets, particularly on TV, are increasingly promoting overt bigotry against Muslims, stating over and over that Islam is an inherently violent religion and that peaceful Muslims are somehow to blame for ISIS. Hateful stereotypes are treated as fair game; the question of whether Muslims are somehow lesser human beings is raised as a valid or even necessary debate. The politics of Islamophobia are ascendent as well. These attitudes initially spiked after President Obama's election — a continuation of the dogwhistle politics that Obama is a secret Muslim, or at least suspiciously un-hostile toward Islam — but are now resurfacing. State legislatures are passing laws banning "sharia" or "foreign law," a barely-veiled expression of official legislative hostility to Islam and to Muslim-American communities. Elements of the Republican party have been hijacked, at state and national levels, by a fringe group of anti-Muslim activists who see Islam itself as a threat. While some leading Republicans resist their agenda, others embrace it; Louisiana Governor and presidential hopeful Bobby Jindal has falsely claimed that Muslims in the UK have set up "no-go zones" that police refuse to enter and where sharia law prevails, and that Muslim immigrants coming to the US are an "invasion" and "colonization." From Avijit in Bangladesh to Ahmed in Dallas, we have to take a stand against bigotry - independent of belief or disbelief. This may seem obvious, but sometimes popular narratives dilute some of the murders. This is all the more important as it looks like that the conditions are going to get worse - perhaps far worse - before they get better.